Continuing the Fall decor theme from my DIY Pumpkins for my porch, today I am sharing some other Fall delights for the home and from the kitchen! I had barn wood left from my DIY project so I designed mini ones, they look really good next to the pumpkins I painted! 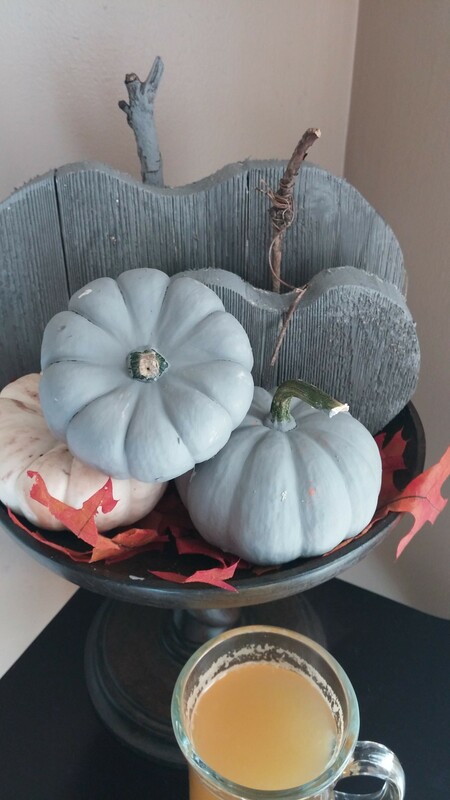 I simply took chalk paint I already had in gray and painted regular mini pumpkins you can pick up at the Farmer’s Market. You can also get them in the grocery stores. I took a mini white pumpkin and rub dark aging cream on it. It is hard to tell from the pictures but I really like how this technique turned out! My linen closet needed some updating! 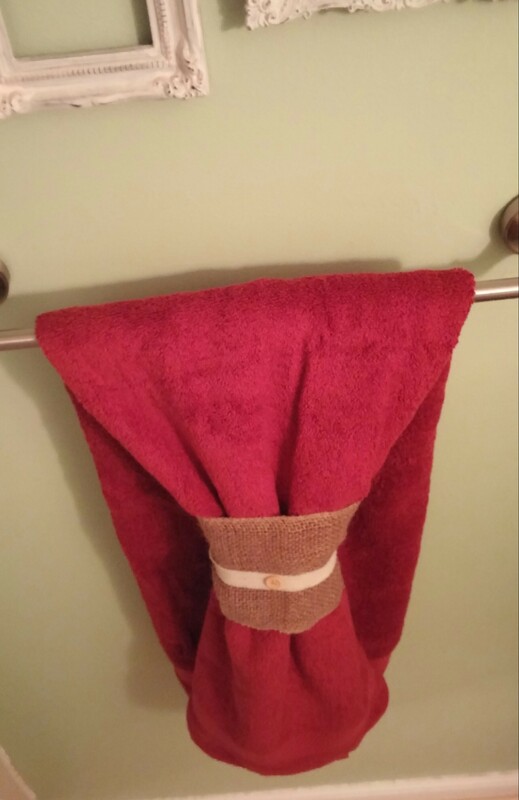 I went to Bed Bath and Beyond to purchase new towels and found this gorgeous burnt orange color! The picture does not do this color well! 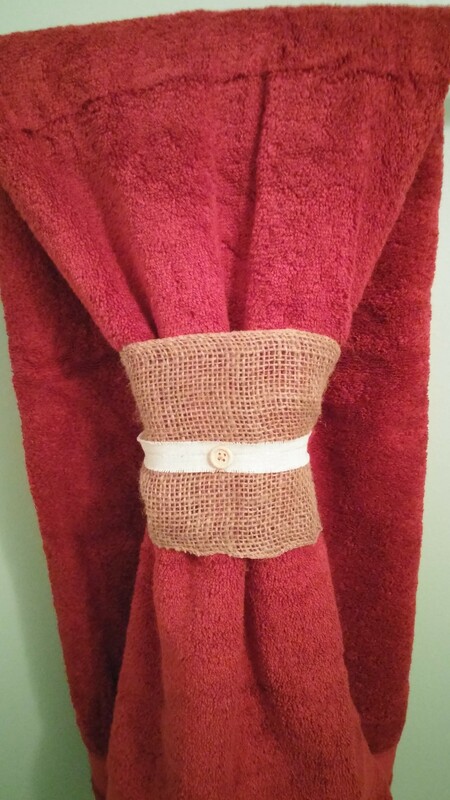 I simply used burlap ribbon I had on hand to tie the front of the towel. This would be beautiful for a guest bath or in a powder room. 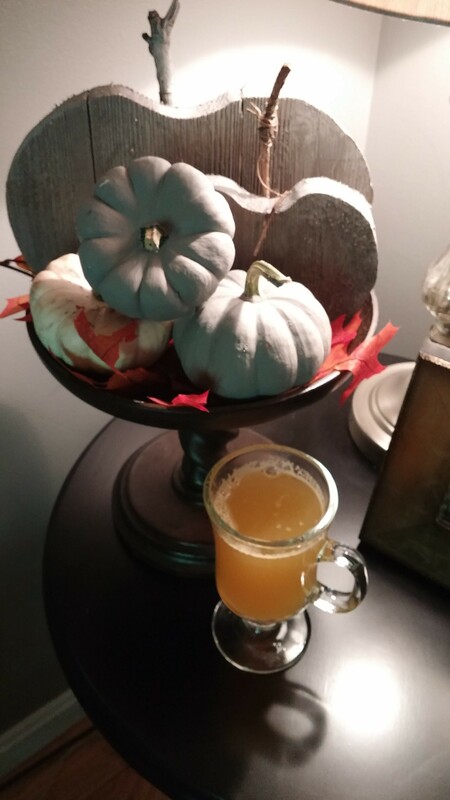 Apple Cider, mmm good! 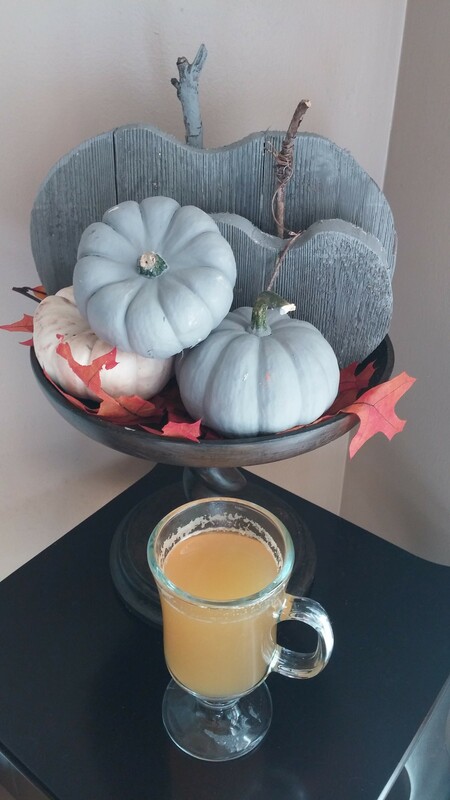 What says Fall more than hot apple cider! I picked up local Apple Cider at a local farm stand. 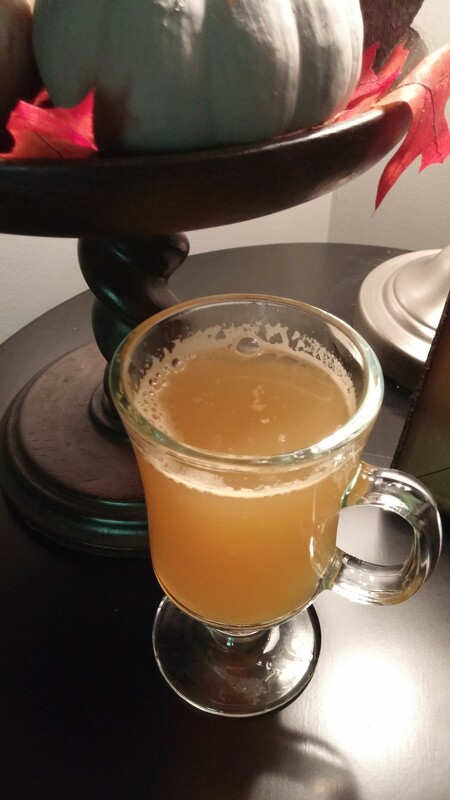 I LOVE apple cider and wanted to create a light apple cider drink. So I created this simple drink! It is very warm and comforting! Give it a try, you will not be disappointed! Bring all the liquid to a boil. Turn down to a simmer and add in the spices. Let sit on a slow simmer for 5 minutes, pour into a mug and enjoy! It is super simple to add seasonal touches to your house! Look around at what you might already have that you can incorporate into this beautiful season!